29 June 2016 – Designed for those who want a great calling experience, music on-the-go and the ability to switch easily between the two, the new Jabra Halo Smart wireless headphones have been developed with voice and call-quality top of mind. The intelligence of Jabra Halo Smart lies in its ability to let the user manage calls, music and media with just one device. According to recent Jabra insights*, 79% of users would like to have one set of headphones for both calls and music, but believe the call experience on most music devices is poor. Jabra Halo Smart delivers a superior call experience thanks to high-quality microphones with integrated wind-noise protection, enhanced voice capabilities via a dedicated Google Now/Siri button and immersive, full-spectrum sound through its 10mm speakers. Its optimised battery performance removes the hassle of having to constantly charge your headset – making the Jabra Halo Smart perfect for use all-day, every day. Life doesn’t stop when you’re low on battery, which is why the Jabra Halo Smart offers an industry-leading 17 hours of talk time, or 15 hours of amazing music time, thanks to the 230mAh battery that is discreetly incorporated into the back of the neckband. For Android users, the Jabra Assist app allows you to track your exact battery usage, receive alerts when the battery is getting low and get notifications about when you next need to recharge (based on historical usage) – giving you total peace-of-mind when on-the-go. Jabra Halo Smart allows you to accept a call by separating the two earbuds as they rest around your neck, and use one earbud for phone calls or both for listening to music. It also lets you access Siri or Google Now at the touch of a button and keeps you connected and informed in a number of ways. A subtle vibration in the neckband alerts you to incoming calls, whilst Android users can expect readouts of calendar notifications, emails, text messages and social media messages. Designed by Jabra’s comfort experts, Jabra Halo Smart follows the body’s lines with bendable flex zones ensuring maximum comfort all day long. Weighing in at just 38 grams, the Jabra Halo Smart sits so comfortably around the neck you’ll forget you even have it on. “We are all doing more with our smartphones than ever before, whether it’s making and taking calls, listening to music on-the-move or watching a movie clip during a break. So we wanted to develop a set of wireless headphones that delivers amazing sound whatever you’re doing whether taking calls or listening to music”, explains Calum MacDougall, SVP at Jabra. Jabra Halo Smart is the latest addition to the Jabra Halo family of wireless headphones, designed for busy people who are looking for versatile headphones for multi-purpose use. The first headphones in the series are Jabra Halo Fusion. 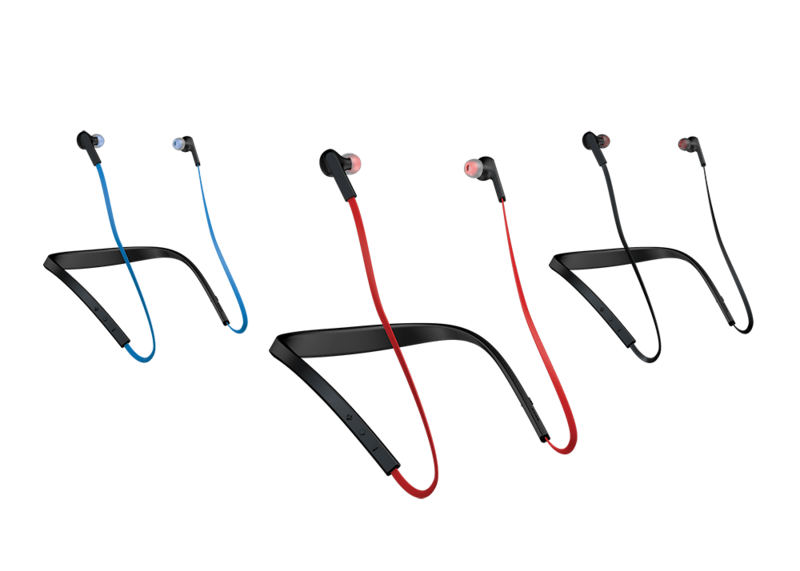 Jabra Halo Smart is available in three colours: Impact Red, Electric Blue and Classic Black. Available at: ALL IT Hypermarket Sdn Bhd, Harvey Norman, Machines, Viewnet Computer Systems, and Switch from end-July onwards. Suggested RRP MYR 399, inclusive of GST / ~US$ 99.